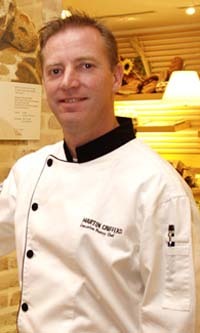 Mr. Martin John Chiffers Serves as Executive Pastry Chef at Grand InterContinental Seoul. Grand InterContinental Seoul is proud to announce that Mr. Martin John Chiffers has joined the hotel as new Executive Pastry Chef. Martin Chiffers will be at the helm of the pastry team to oversee the hotel's entire pastry operations and responsible for developing exciting and taste-tempting bakery items not only for the Grand Kitchen Deli but also 535 guest rooms, 13 restaurants and 15 banquet function rooms. Chef Chiffers joined Grand InterContinental Seoul with a nearly 22 years of experience in the hospitality industry garnered from leading luxury hotels and restaurants in London, Singapore and Korea. Chef Chiffers' repertoire of desserts and pastries encompasses all aspects from chocolate pralines to ice creams. With his forte in the culinary art of cooked and pulled sugar, he has earned a total of 19 medals including eight gold medals at several prestigious international culinary competitions in France, Luxemburg, Singapore the USA and the United Kingdom. "It is a pleasure and exciting to be part of the culinary team at Grand InterContinental Seoul – It is my goal to continue to maintain, raise the standards of excellence of the hotel, whilst injecting new passionate innovations and ideas using the finest quality local and international ingredients and fresh produce, ensuring that guests are delighted with a refreshing and new culinary experience at the various hotel's outlets," commented Chef Chiffers. Guests can enjoy more sweet treats at Grand InterContinental Seoul as Chef Chiffers adpots an innovative approach to introduce an array of refreshing and creative cakes, breads, pastris and desserts based on international, local and traditional specialties. Partake of a memorable four-course meal highlighted by fresh lobster dishes until the end of November at 30th floor Sky Lounge at COEX InterContinental Seoul. With live lobsters, weighing in at 900 grams deliciously prepared with the expertise you'll only find at the COEX InterContinental Seoul, this course promises to be one you don't want to miss. 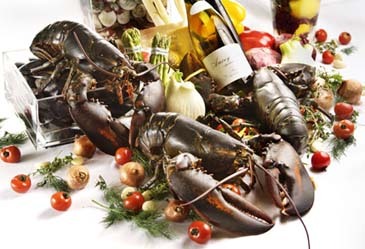 The four-course menu consists of lobster claws and watercress salad, caviar, mango and red onion dressing, lobster bisque with fried crabmeat ravioli and for main dish you can enjoy sautéed lobster tail with garlic, onion, tomato and cream sauce.